53 -55 Park Avenue, D4 Dublin, Irland. 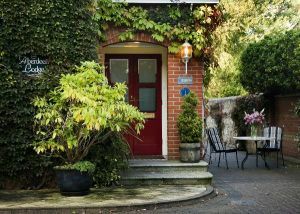 Aberdeen Lodge is a luxury Edwardian style boutique hotel in the fashionable Ballsbridge area in Dublin 4. This charming property is located on the tranquil and peaceful Park Avenue close to the main public transport links to Dublin's vibrant city centre. There is a choice of classic and deluxe rooms as well as a number of suites. All of the rooms are with full ensuite private bathroom. Our award winning Full Irish Breakfast is served in our dining room overlooking the beautiful garden while afternoon teas are served in the main drawing room and library. Close to RDS, O2 arena, St Stephens Green, Trinity College, the Spire and National Museum of Ireland. Strand, nähe dem Messegelände, Bahnhofsnähe, Stadtzentrum, Flughafennähe, in der Nähe der U-Bahn / Strassenbahn, in der Nähe der Einkaufszentrum. Our award winning Full Irish Breakfast and tasty menu is served in the period style dining room which overlooks our beautiful landscaped gardens. Afternoon teas and fine wines are served in the main drawing room and library where our guests can relax and choose from a fine selection of Irish and international literature. Our renowned sumptuous salad of smoked Irish salmon is not to be missed! Aberdeen Lodge boasts an ideal location on the quiet tree-lined Park Avenue in the exclusive embassy district of Ballsbridge, Dublin 4. Nestled amongst the fine Georgian buildings, it is just a short stroll from the main public transport links which will take you into Dublin's vibrant centre in a matter of minutes. Many of the city's most beloved tourist attractions can be found here such as Trinity College, the Book of Kells, Grafton Street, O'Connell Bridge, the Spire and the many museums and galleries. Sandymount village with its array of bars and restaurants is just a short walk from Aberdeen Lodge as is the strand and beach. 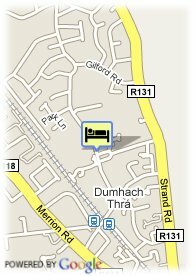 Dublin Airport is only a 20 minute drive away. There is also a luxury coach link available that will bring you from the airport to Park Avenue.